Two naval architects discovered the Asian art form of sliceform kirigami, and Lovepop cards were born. More elaborate than most pop-ups, more detailed than origami, the recipient will marvel at the intricacy of the 3-D interior scene. 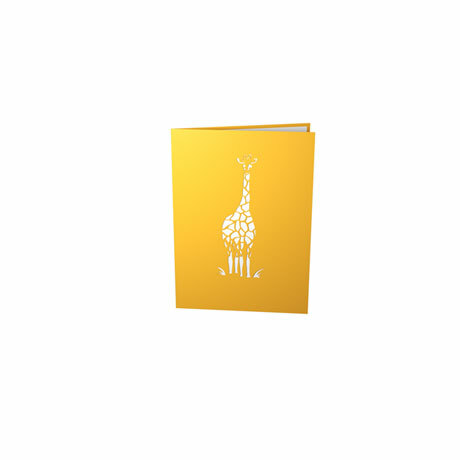 The Giraffe Family card closed measures 5" wide and 7" tall. Blank inside to add your own message. Mailing envelope included.